Ruinart Rosé NV Champagne is a popular Champagne available from DrinkSupermarket.com in 75cl to buy online. 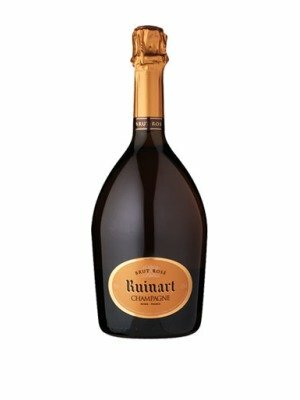 Visit DrinkSupermarket.com for the best price for 75cl of Ruinart Rosé NV Champagne or compare prices on our other Champagne products. Founded in 1729, Ruinart is still producing champagnes in the same spirit of innovation, purity and eternal elegance, it is this reputation which has become a respected trait of the oldest champagne house. Beautifully pale pink in colour. The nose is delicate, fresh and subtle, arousing aromas of strawberry, cherry and raspberry. The wine is round, crisp and smooth on the palate with a delightfully velvety conclusion. Ruinart Rose NV can be served either as an aperitif with tuna sashimi or beef carpaccio as well as with duck. Where to buy Ruinart Rosé NV Champagne ? Ruinart Rosé NV Champagne Supermarkets & Stockists. You can buy Ruinart Rosé NV Champagne online in most retailers and find it in the Champagne aisle in supermarkets but we found the best deals online for Ruinart Rosé NV Champagne in DrinkSupermarket.com, TheDrinkShop, and others. Compare the current price of Ruinart Rosé NV Champagne in 75cl size in the table of offers below. Simply click on the button to order Ruinart Rosé NV Champagne online now.